So far, we and you were able to book the top 6 online tickets from your IRCTC account in a month. But Indian Railways has increased the monthly limit for booking tickets online from 6 to 12. To do this, you have to connect your IRCTC account with Aadhaar card. How can an IRCTC account be linked to Aadhaar card? Let's learn. 1. First, visit the IRCTC website. After that log in with your ID. Then go to the MyProfile tab. 2. Choose the base KYC here. 3. After this, you will be asked your base number on the next page. 4. Now you will have a one-time password on the mobile number registered with the Aadhaar card. This OTP will be used for verification. At the bottom of the page, you will see some details of your Aadhar card. After this click on the verification shown below. 5. Then the message will come ... "KYC details have been successfully updated. 6. But not enough to book more than 6 tickets a month. Railway says that a passenger should also be verified from the profile basis to book the ticket. Here's the master list. 7. The master list also exists in the My Profile tab. Here you will have to update the master list by giving details of passenger's name and base card. 8. If the name of a passenger is already in the master list, edit his profile and put the base number in the id. 9. Tell us that the master list must update before booking a ticket online. Only then will you be able to book more than 6 tickets. enough. 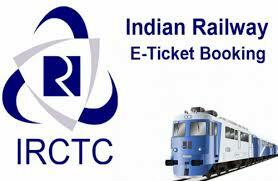 Now you will be able to book more than 6 tickets every month from the IRCTC website. CLICK ON BELL ICON AND SUBSCRIBE US.